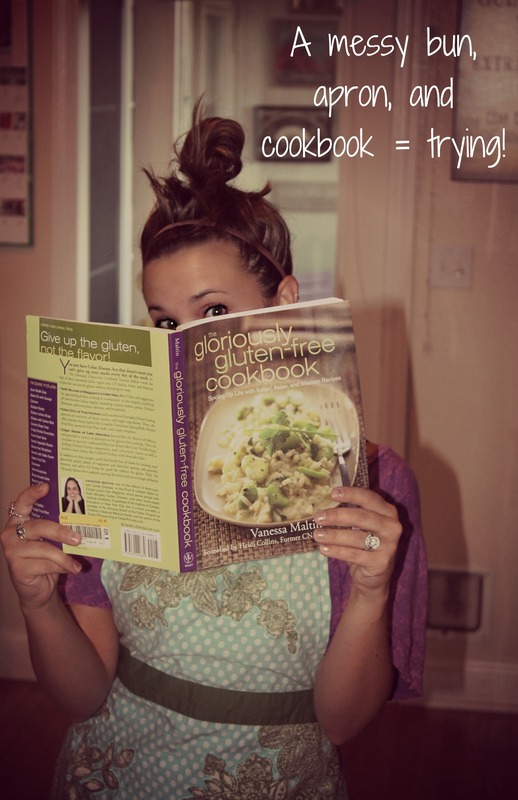 akupofkatie: A messy bun, apron, and cookbook quest. A messy bun, apron, and cookbook quest. If I'm on a quest, you are coming with me. As of late, my quest is entering the world of GLUTEN-FREE. I'm not the best cook to start with so this quest better freshen my skills. Geez I hope. I created/stole...drum roll please...spinach brown rice topped with Cherry Tomato Meat sauce! I must say, it was a GEM! 1. In a large saucepan heat small amount of olive oil. Add onion. 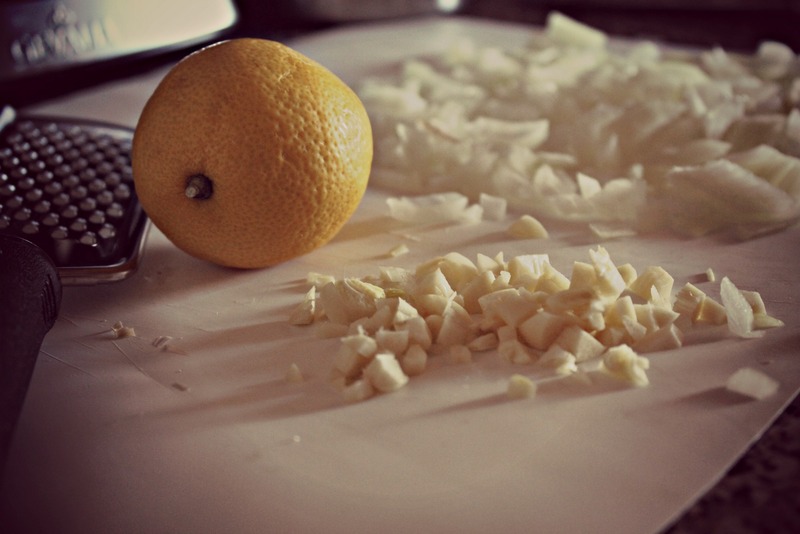 Saute onion until tender. 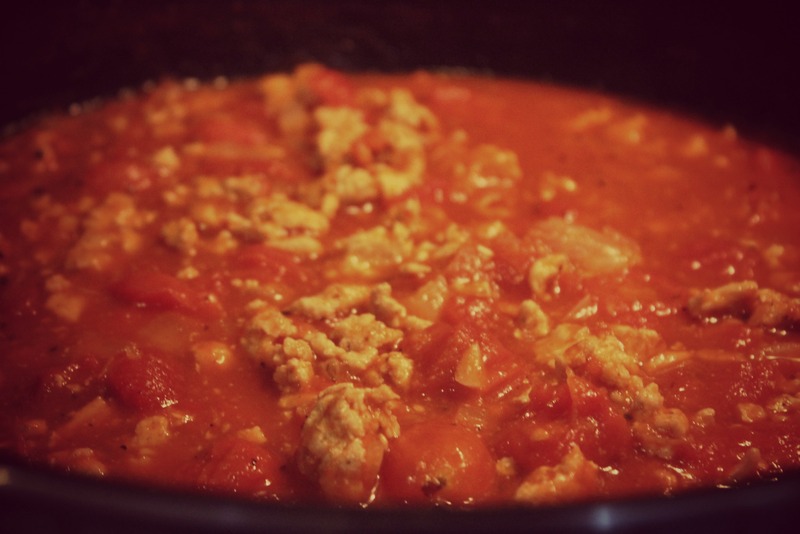 Add ground chicken and cook on medium low until meat is throughly cooked. In a separate saucepan, heat a small amount of oil. Add garlic until golden brown. 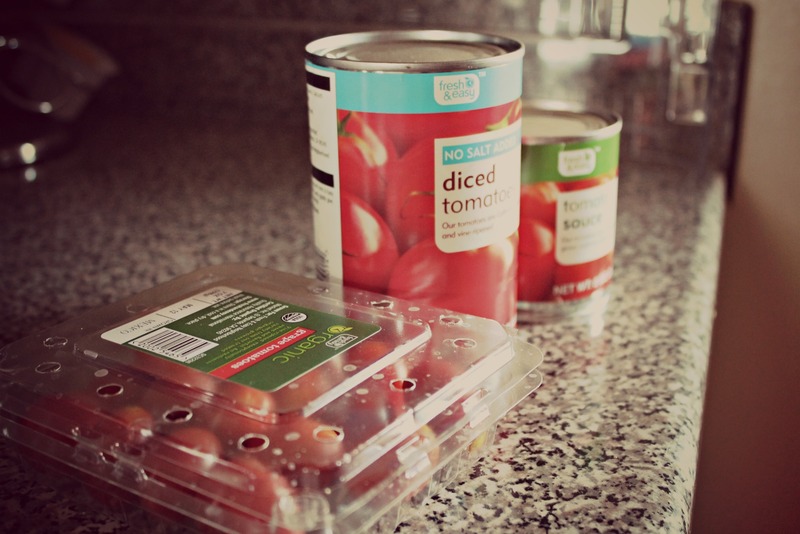 Add cherry tomatoes. Cook for about three minutes or until tomatoes are soft. Add tomato sauce, paste, stock, basil, and lemon zest. Let simmer for about 10 minutes. Season add cooked ground chicken. Season with salt and pepper. 2. 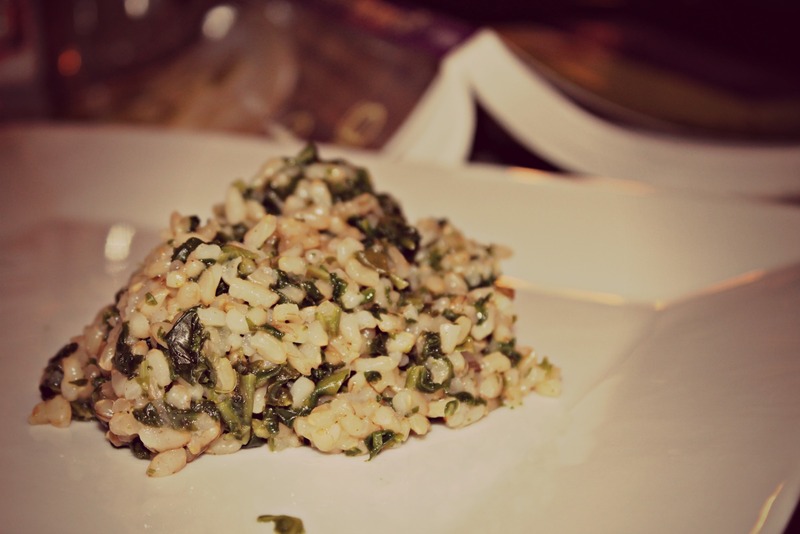 I served my meat sauce over steamed spinach and brown rice. The MVP had his over whole wheat pasta. I adapted this recipe from Vanessa Maltin's book The Gloriously Gluten-Free Cookbook. This was a great meal for gluten-free peeps or not. ps: I burnt my fingers, made a mess, and screwed up my timing while cooking. Hence, I'm trying. We started Gluten free a month and half ago. Your not going to believe how much better you feel! And our sleep has improved! I was having tummy troubles being pregnant and once we made this change I felt so much better! Oh wow! Congrats on your baby! That is SO exciting. Any tips or favorite meals you have?? ?